These are the show notes to an audio episode. You can listen to the show audio by clicking here: http://traffic.libsyn.com/airspeed/AirspeedLevesque02.mp3 . Better yet, subscribe to Airspeed through iTunes or your other favorite podcatcher. It’s all free! 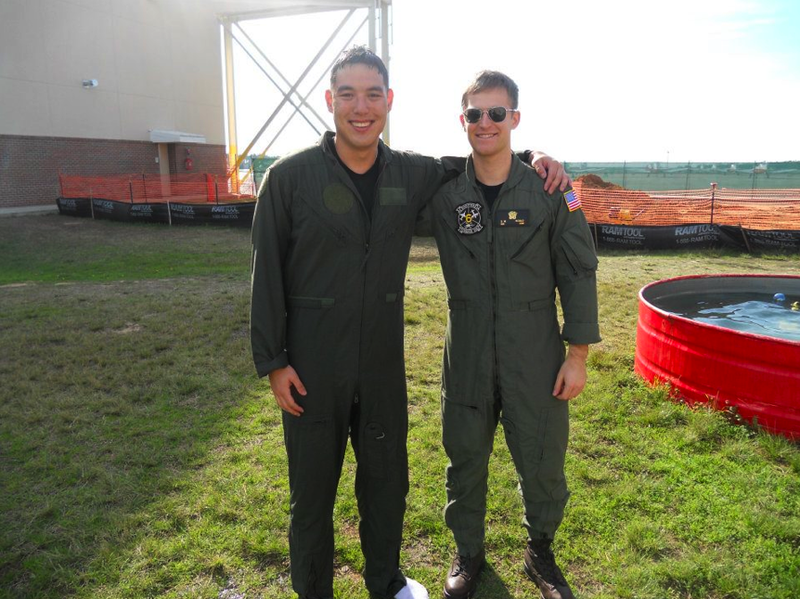 ENS Evan Levesque (pronounced “leh-VECK”) is a primary flight student at NAS Whiting Field near Milton, Florida. He’s flying the mighty T-6B in the aerobatic phase of training, having recently completed the contact phase and flown his first solo. He has instrument work and a formation phase yet to go. 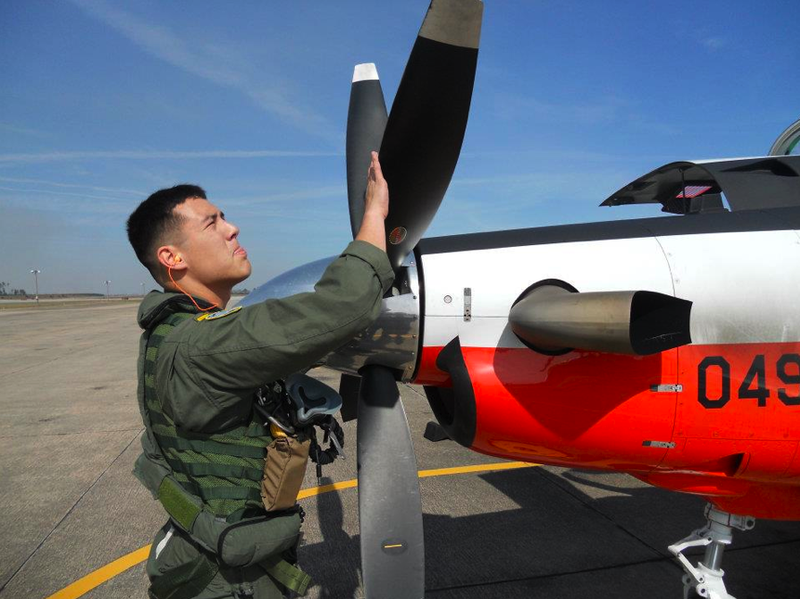 Over the course of the conversation, ENS Levesque talks about the pace of training, what it’s like to fly the T-6B, the advantages of coming to training with a private certificate already in his pocket, and why he’s standing there soaking wet in the picture below. You can follow ENS Levesque’s progress on his Facebook timeline. There’s more information about the US Navy at http://www.navy.com and you can find a Navy recruiter http://www.navy.com/locator.html.